My question is not related to ongoing exposés of sexual abuse suffered by women under a culture of male privilege and dominance– the culture known by the trope #MeToo. What concerns me here is a seemingly unrelated silence and need for exposure, namely accomplishments of women scientists. This too is being newly addressed, although desultorily. Like millions of others I was alerted to the history of women in science after viewing Hidden Figures. This celebrated film features three African American women working in the 1950s U.S. space program. It’s based on the book by Margot Lee Shetterly, herself African American whose parents and neighbors were professionals working in the time and place of that story. So compelling were Shetterly’s revelations, the film was completed just two years after the book’s release. While this film is making a profound social impact, to grasp the full context of African American scientists and women in general in the U.S. government’s pioneering space projects, read Shetterly’s full account. Book or film, Hidden Figures will propel more African Americans into the sciences while it impresses on all women the need for us to step out of the margins and into the center of public life. Another ‘hidden figure’ is revealed with the recent award of the Breakthrough Prize in Fundamental Physics to British physicist Jocelyn Bell Burnell. Had the monetary award not been $3. million, her story likely wouldn’t be featured in a major U.S. newspaper. (See this) Nevertheless the article is an opportunity to learn, once again, how a brilliant student of physics, somehow, despite adversarial male and institutional attitudes, managed what many of us cannot: she remained at work, applied her genius and pursued her irrepressible love of science. Burnell persisted despite her Cambridge supervisor, not Burnell, winning a Nobel Prize for his research on pulsars, a discovery she had made. That interview provides an all too common narrative of how modesty allowed Burnell to demure to male colleagues, and be upstaged by her professor. In this account we hear more about her modesty than her professional history and ongoing work at Oxford. This review regrettably includes a flawed note on other ‘hidden figures’. It mentions the white scientist Rosalind Franklin and the celebrated film, but fails to name mathematicians Dorothy Vaughan and Katherine Johnson and engineer Mary Jackson featured there. When will we learn to know, repeat and apply these women’s names? 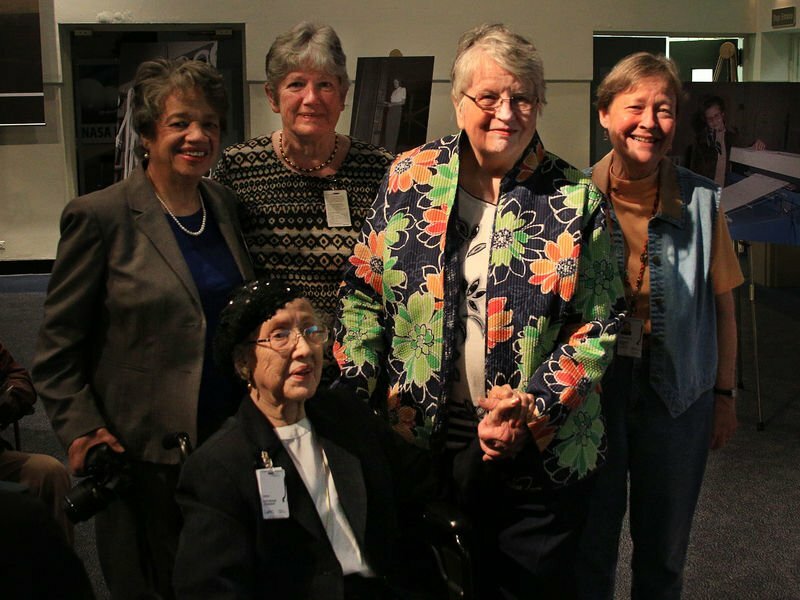 Dorothy Vaughan; Katherine Johnson, Mary Jackson; Dorothy Vaughan, Katherine Johnson, Mary Jackson; Dorothy Vaughan, Katherine Johnson, Mary Jackson. And add Margot Lee Shetterly to that deserving list. Not long after perusing Shetterly’s highly readable and conscientiously researched book, browsing in my local library, I (by chance?) came across The Other Einstein. 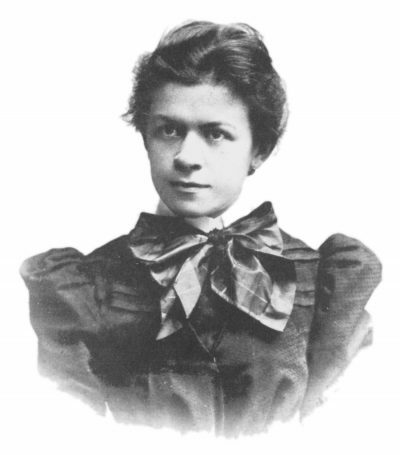 It’s an historical novel based on credible rumors regarding Mileva Marić-Einstein, a mathematician herself and first wife of the famous physicist. In The Other Einstein, published in 2016, author Marie Benedict explores rumors of a woman whom history not only marginalizes; it denies her any credit as a working scientist. Albert Einstein is so lionized a figure that it will take much more research to clarify Marić-Einstein’s real role in the history of physics. But the accounts by Overbye and Benedict are a start, just as Shetterly’s work is an essential opening act on women in U.S. pioneering research (see this). Women everywhere struggle on mightily. In small snips we cut away the deep roots of misogyny in every culture. While progress is slow at the legal level, headway is being made by the slogging research work by our writers. Doubtless many more histories await our attention and when we uncover them we will find how many more predecessors broke barriers long before this modern era. Knowing women’s early scientific work, even absent of fanfare or awards, is still empowering to this and future generations.